For the tens of thousands of Burners who trek out to the Black Rock Desert in Nevada every year for the annual festival, it's an entire cultural shift into an alternative lifestyle. Guiding the event's culture are 10 principles that ensure the whole experience is communal, radical, clean and non-commercial. The festival, which kicked off in 1986, brings a diverse group of people together for one week in the desert to create a metropolis known as Black Rock City. While Burning Man really is a one-of-a-kind, temporary event, there are communities full of similarly minded folk across the globe who are finding ways to live outside the bounds and norms of a traditional society. Take the Findhorn Foundation community, for example. This ecovillage in northern Scotland is all about working with nature, sustainability, inner-spiritual attunement and a peaceful communal lifestyle. Visitors are welcome. Folks wanting to stay longer — say, a year or so — can pay to enroll in programs that'll integrate them into the spiritual community. If you're looking for a spiritual community in northern Italy, there's the Federation of Damanhur. It's a little more robust, than its Scottish peer. Damanhur boasts its own currency, constitution, economic system, university, temples and spiritual movement — pretty much anything you'd need to run a small eco-federation commune. Those who are seriously considering starting a new life in Damanhur have to enroll in the aptly named "New Life" program, which lasts three months. Then, there's Christiania, a self-proclaimed autonomous neighborhood of Denmark's capital, Copenhagen. For the most part, the government tolerates Christiania, though the two sides have butted heads over just how autonomous the neighborhood is. While Christiania has its own spiritual happenings, the commune is more famous for its dealings in the drug trade — specifically, marijuana. Hard drugs aren't allowed. Moving on from autonomous neighborhoods, there are autonomous micronations, like the Principality of Sealand. Sealand is an old offshore platform near the coast of the United Kingdom. Originally named HM Fort Roughs, it had previously been used by the U.K. during World War II. While not an actual nation, Sealand has all the markings of a nation aside from a sizeable population. 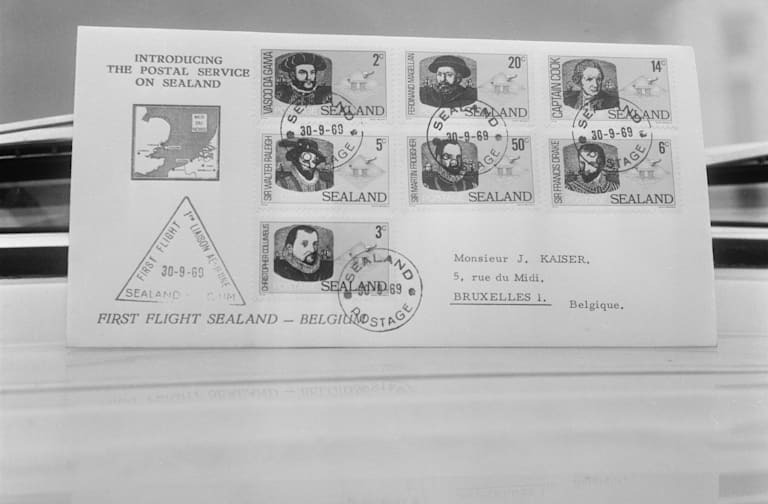 However, people can purchase Sealander nobility titles for about $300. Finally, coming back to the United States, we have another experimental community — Arcosanti. It's about 70 miles north of Phoenix in central Arizona and emphasizes something called archology — or a combination of architecture and ecology. Acrosanti is a work in progress, but that doesn't mean you can't move in — just complete a five-week workshop, which costs about $1,500. You can then apply to volunteer in the community.